A long-awaited report from the Department of Homeland Security (DHS) confirms that overstays are a significant source of illegal immigration. The report identified just over 527,000 foreign visitors who apparently did not depart as required when their authorized stay expired in 2015. Approximately 484,000 were presumed to be still in the United States at the end of 2015, and 416,500 had not departed as of January 4, 2016. Of these overstaying visitors, 43 percent had entered on a business or tourist visa, 29 percent had entered under the controversial visa waiver program (VWP), and 28 percent had entered from Canada or Mexico. For the report, DHS analyzed the records of only a sub-set of foreign visitors, namely arrival and departure records for air and sea travelers who entered for the purpose of business or pleasure. This sub-set of 45 million admissions is only a fraction of the total non-immigrant admissions to the United States in 2015 by air, sea, and land for all purposes. DHS did not examine the records of visitors who entered by land, which is more than three-quarters of all admissions to the United States. Nor did it track the records of visitors granted visas for purposes other than business or pleasure, such as students, guestworkers or exchange visitors. These categories represent a much smaller share of all annual arrivals, but still account for several million admissions per year. Some of these categories have been found to have significant overstay and status violation rates in the past, and have been exploited by terrorists. The report's findings suggest that additional resources must be directed toward deterring and removing overstays. The Government Accountability Office has found that in recent years only 3 percent of the enforcement resources of Immigration and Customs Enforcement (ICE) were dedicated to addressing overstays, and only a small number (about 8,000) overstays are removed annually, out of a total estimated population of four to 5.5 million overstays in the United States. The number of business and pleasure visitors entering by air or sea who did not depart in 2015 was approximately 211,000. The number of VWP overstayers still here at the end of 2015 was approximately 137,000. The number of Canadian and Mexican air and sea travelers who did not depart on time in 2015 was 135,000. The DHS overstay rate methodology, which uses admissions rather than individuals, produces a deceptively low overstay rate that does not reflect the true magnitude of the problem. DHS has calculated an overall business/pleasure air/sea overstay rate for 2015 of about 1 percent. The agency did not calculate an overstay rate for individual travelers. Under this methodology, the frequent visits by millions of compliant travelers have the effect of suppressing the overall overstay rate, because those who overstay are most likely to do it on their first visit. For example, if 10 people are admitted to the United States for three visits each and all are compliant, that is counted as 30 admissions. If in addition one person is admitted and overstays, that is counted as one admission. Using the DHS methodology, in this case the overstay rate would be 1/31 or 3 percent, not 1/11 or 9 percent. DHS has established that the business/pleasure categories include many individuals who are admitted multiple times in one year, and it is their compliance that is reflected in the low-sounding overstay rate. The countries with the highest number of overstays were Canada, with 93,000, and Mexico, with 42,000 in 2015. The non-contiguous countries with the highest number of overstays for visa holders were Brazil (37,000), China (18,000), and Colombia (17,000). The non-contiguous countries with the highest overstay rates for air/sea business/pleasure visitors (all over 18 percent) were Djibouti, Bhutan, and Laos. The VWP countries with the highest overstay numbers were Germany (22,500), Italy (19,000), and the United Kingdom (19,000). The VWP countries with the highest overstay rates were Hungary, Slovakia, Chile, Greece, and Portugal (all over 2.3 percent). The overstay rates of these countries were more than triple the overall average overstay rate of 0.73 percent, and should raise concerns about their continued participation in VWP. The DHS report indicates that the changes to the VWP proposed by the Schumer-Rubio "Gang of Eight" comprehensive immigration bill passed by the Senate in 2013 are profoundly unworkable. The bill's language, which was copied from another proposal known as the JOLT Act, stipulated that countries with an overstay rate of less than 3 percent (among other criteria) could potentially qualify for VWP. The findings of the DHS report indicate that under the Schumer-Rubio rules almost half the countries in the world would be eligible based on overstay rates. The list would include: Russia, Ecuador, El Salvador, India, China, Honduras, Mexico, Guatemala, Morocco, Pakistan, and Saudi Arabia. 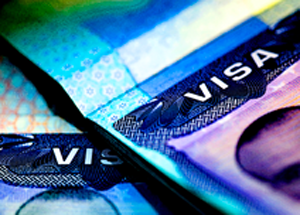 In these cases, the deceptively low overstay rates likely reflect the fact that many citizens do not qualify for a visa and therefore do not have the opportunity to enter and overstay, not that there is low propensity for them to overstay. Lawmakers and the public should be tremendously concerned that DHS identified more than 400,000 foreign visitors who did not depart in 2015 as required and who apparently have joined the huge population of illegal aliens in the United States. More than 12,000 came from countries associated with terrorism. Clearly, our immigration controls are not sufficient to protect Americans. These scofflaws are encouraged by the Obama administration's appalling neglect of interior enforcement and overly generous visa policies.